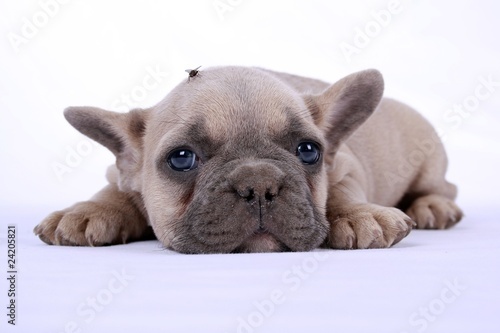 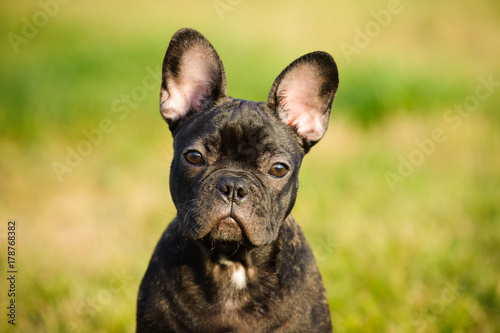 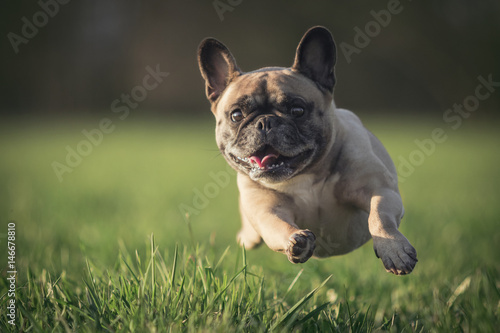 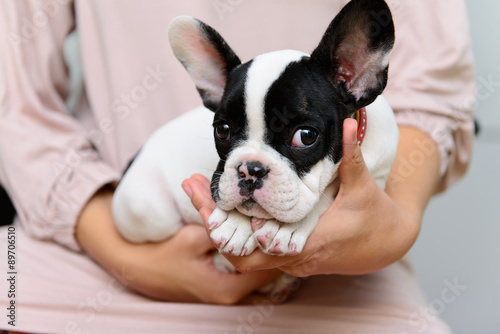 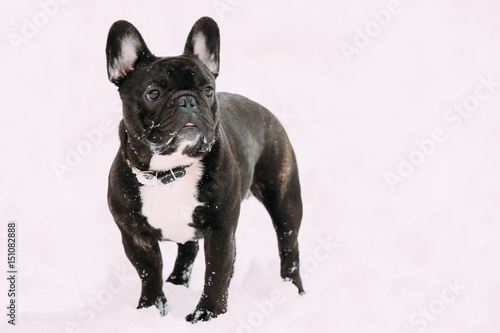 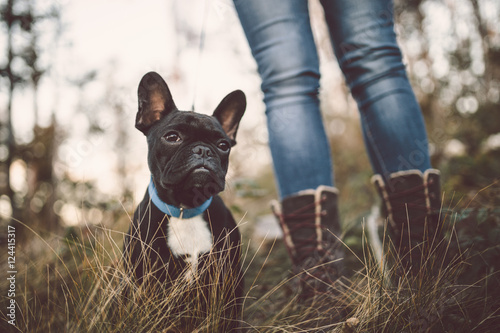 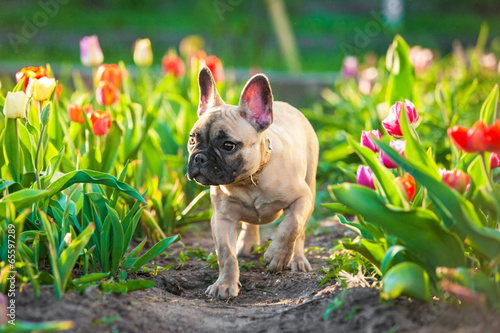 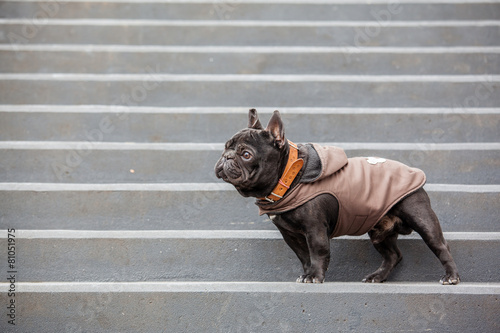 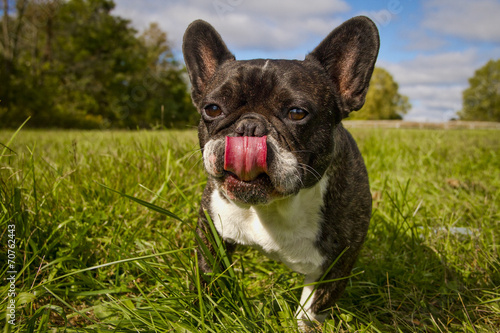 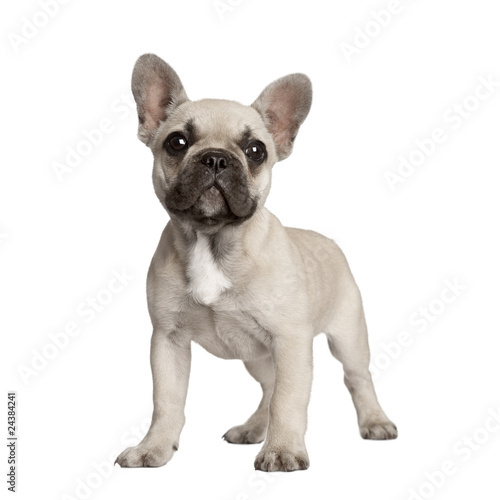 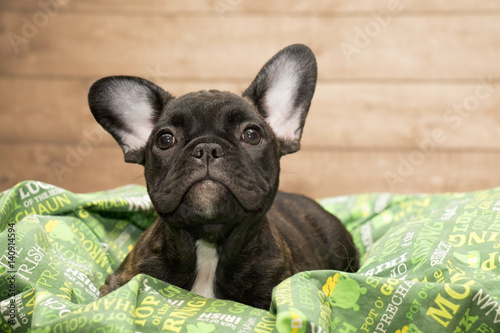 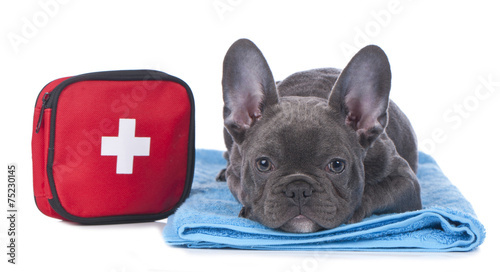 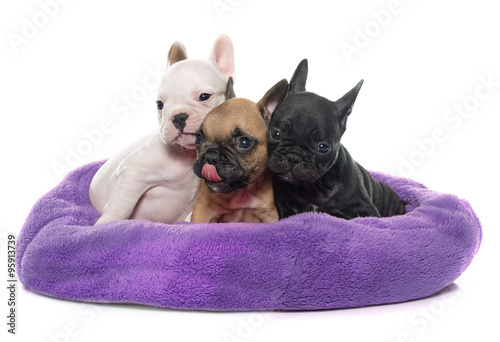 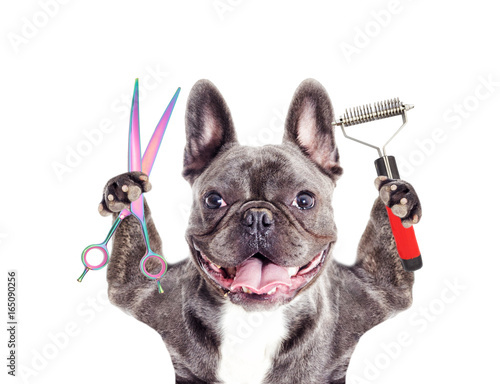 Adorable French bulldog puppy nature outdoors. 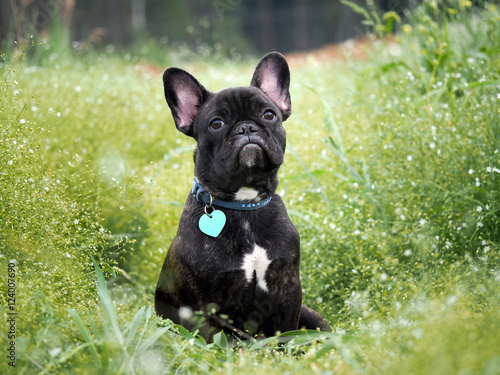 Dog sitting in deep forest grass. 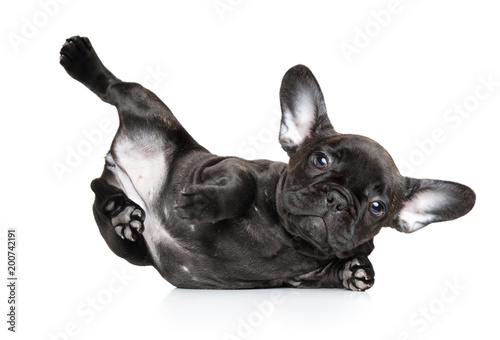 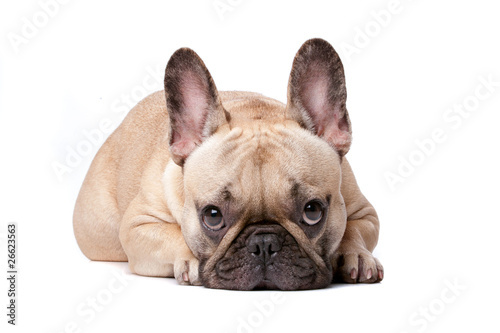 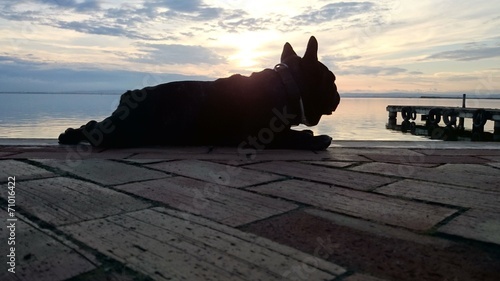 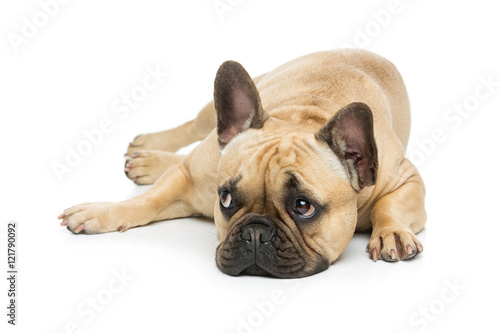 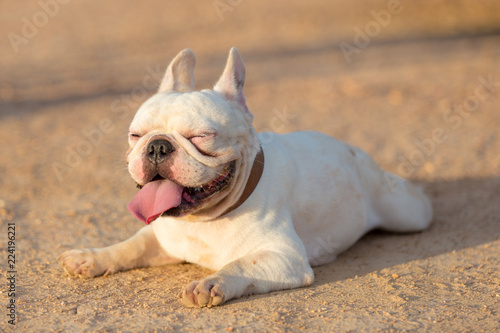 Young french bulldog is sleeping, playing on the ground. 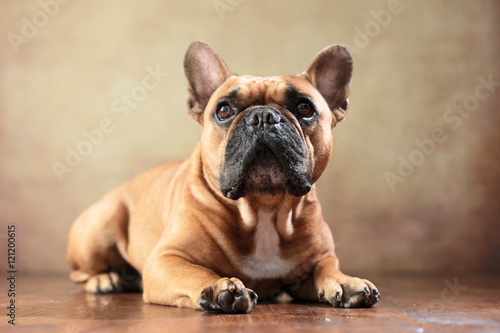 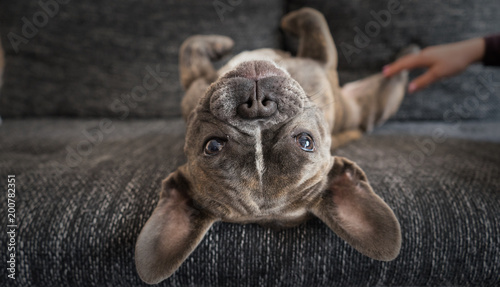 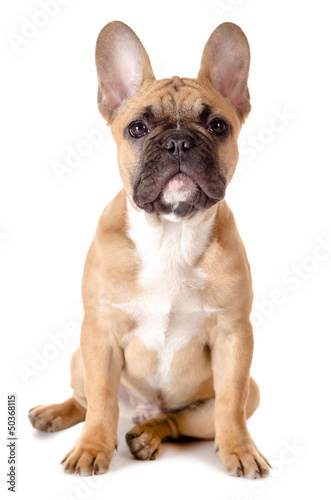 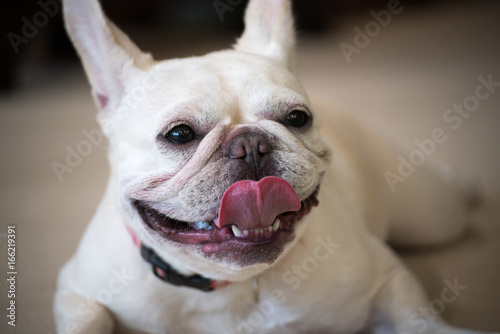 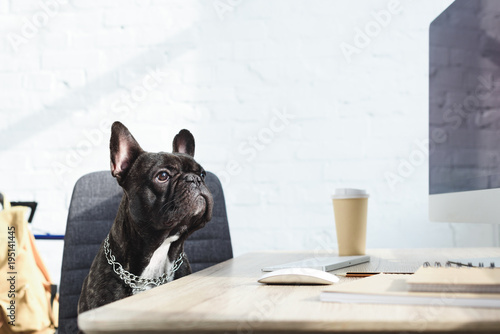 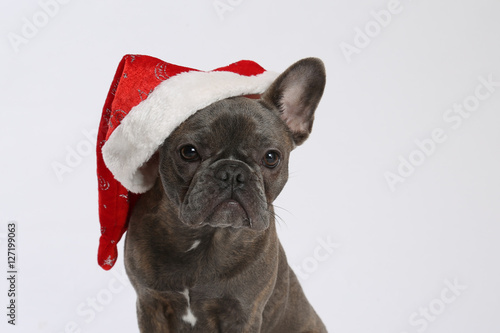 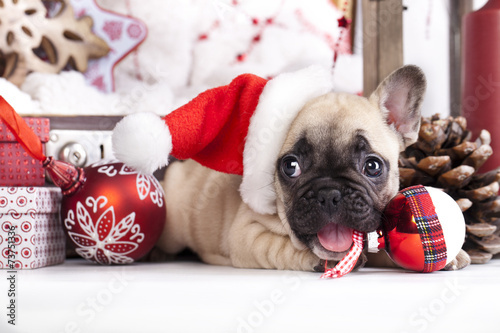 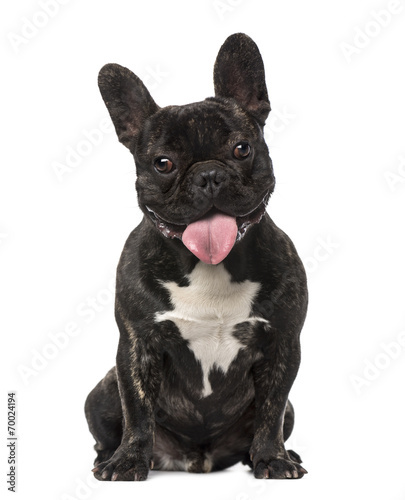 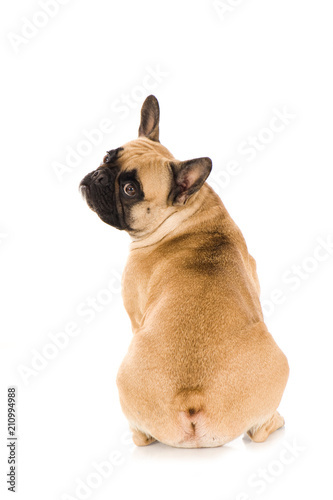 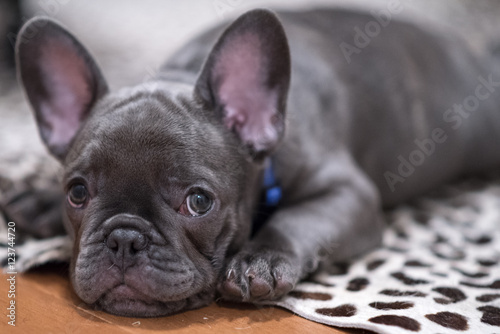 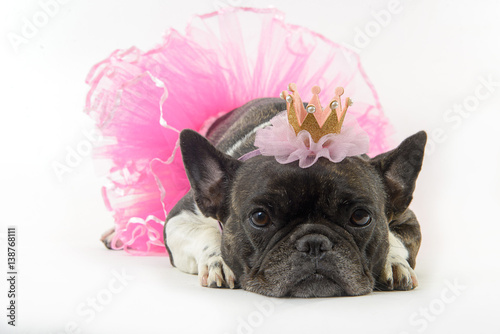 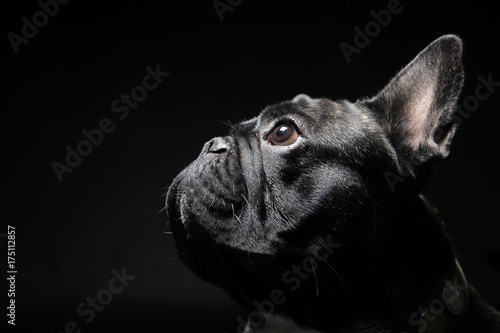 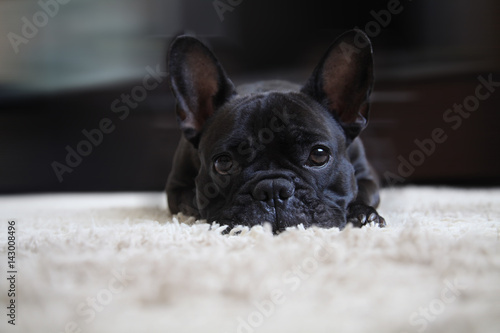 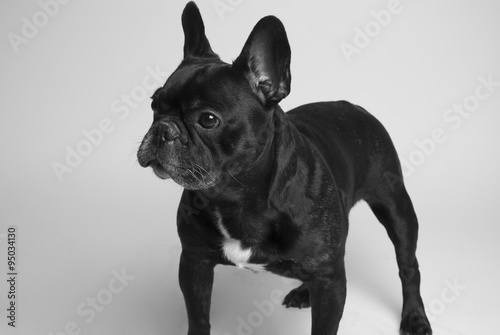 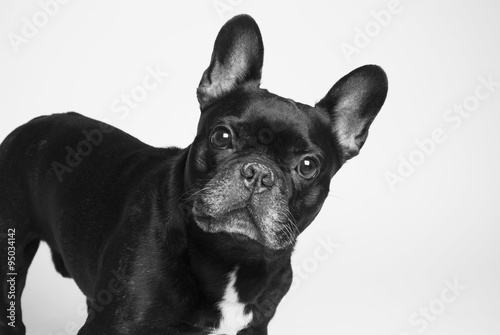 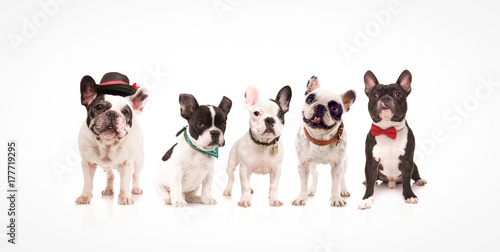 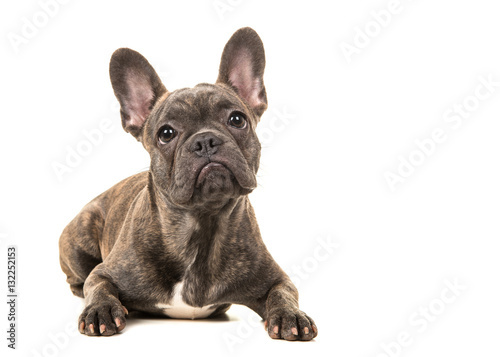 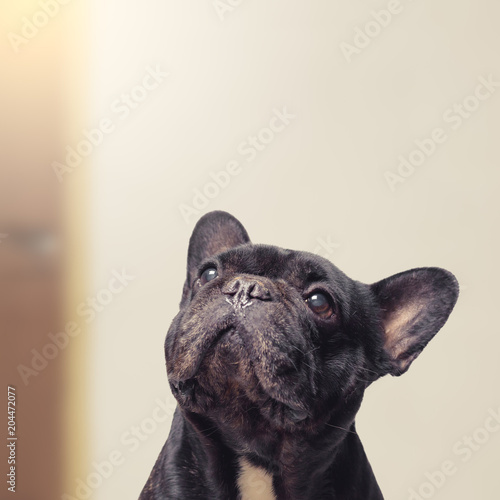 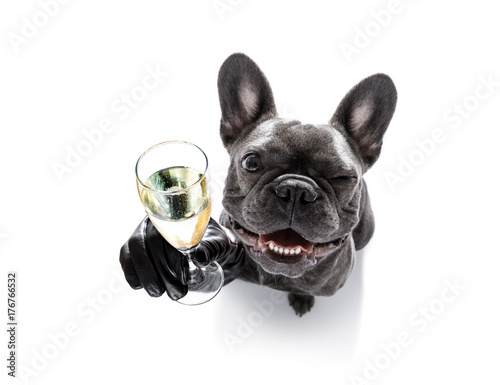 Cute French bulldog looking at camera. 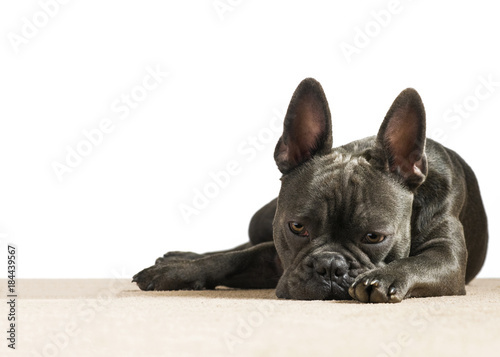 Lazy dog at home.